Only the smell of freshly applied paint is missing – the sweeping brushstrokes on the surface of the “Brush” stoneware series look that amazingly real. 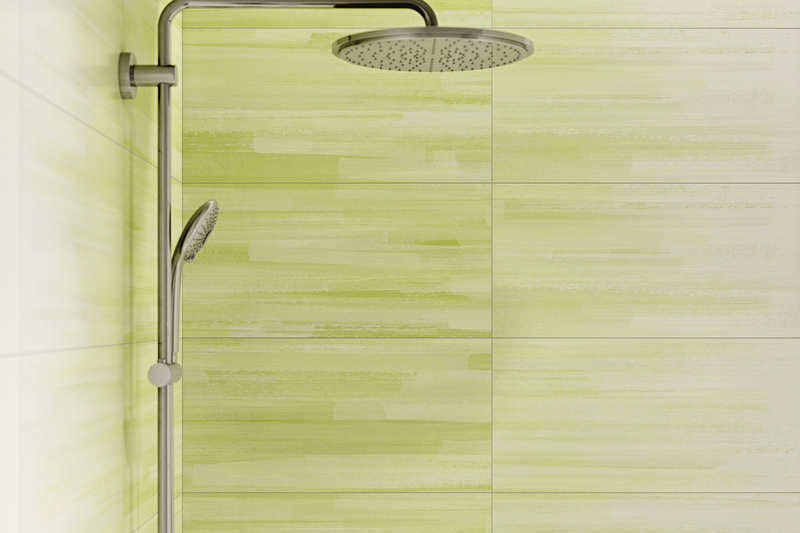 Fresh and young with the distinctive “Steuler signature”, the ceramic surface is liberally decorated with brushed patterns. The patterns in the colour that looks like it has been applied with a paintbrush are not just visible all over the décor tiles but also spread onto the adjoining tiles, getting lighter and lighter in shade. “This really does make the decoration look like it has been painted fresh onto the wall,” explains Director of Development, Tomas Deinböck. The brush technique can also still be seen on the plain white tile as a subtle shimmering relief. 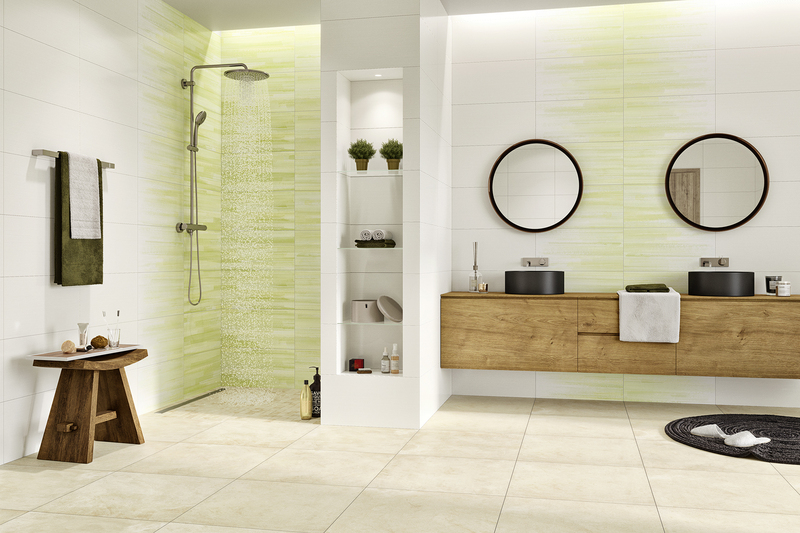 The “Brush” stoneware tile will go on sale this coming January in the 30 x 60 cm format with three strong colours right from the start: a confidently stylish jade, fresh May green and cool Nordic blue. 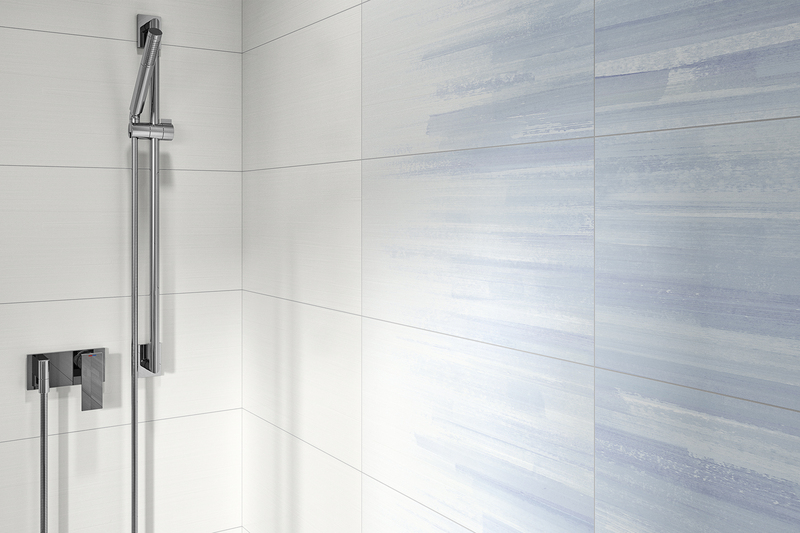 “These three colours go superbly well with modern wood effect floors and create a moody atmosphere in a bathroom,” according to Deinböck. 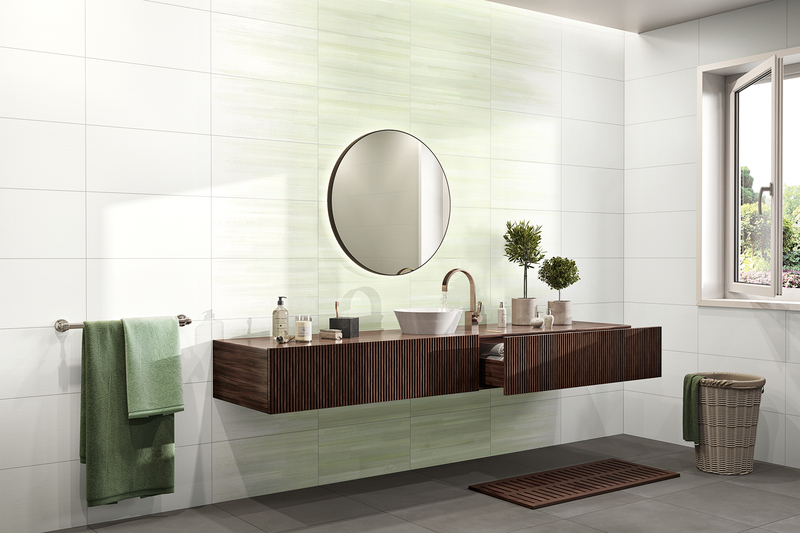 The recommended combination with faded or even vibrantly coloured wooden floors creates an original and accentuating effect and captures the self-assured zeitgeist of modern bathrooms. 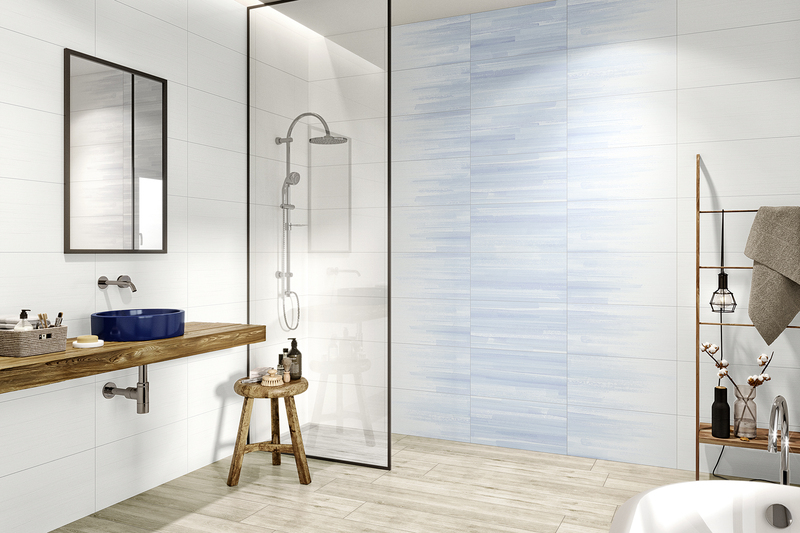 The 40 x 120 cm format is totally new to the stoneware product group in a material thickness of six millimetres. In future, Steuler will always provide a matching “Pure White” range in a matte and a glossy finish when introducing new formats. Mosaic mats with a mixture from the “Kalmit” porcelain stoneware series and the stoneware material provide decoration along with matching complementary tiles in the 30 x 60 cm format, likewise in a thickness of six millimetres.